Home » Misc Frantery » Attention, Rude People With White Canes! Attention, Rude People With White Canes! Stop hitting people’s luggage when you’re trying to make your way down the subway platform! OK, not really. 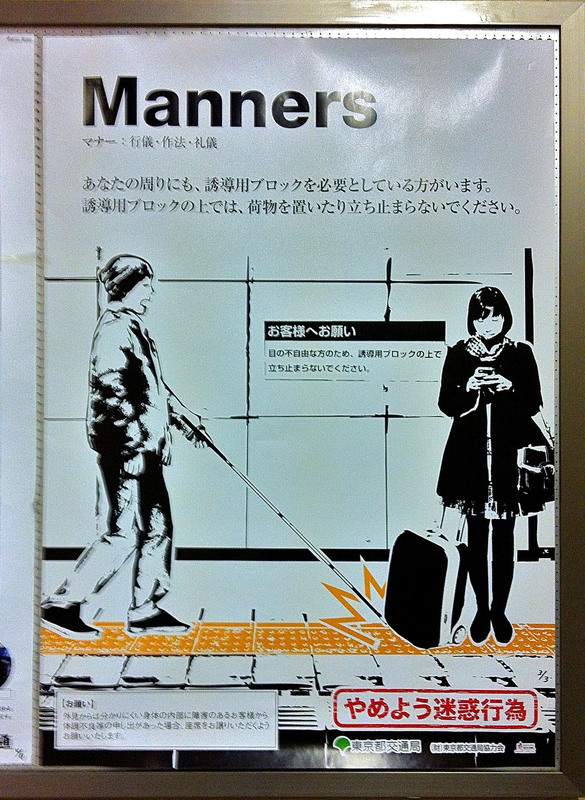 But if I didn’t read Japanese, I might think this new campaign on the part of the Manners Police was aimed at sight-challenged individuals. In fact, it’s admonishing clueless commuters not to block the strip of yellow bumps that guide blind people from one place to the other. Ha ha, saw that one as well when I was in Tokyo. I was catching up on your blog over the weekend and I saw you’d been in town! 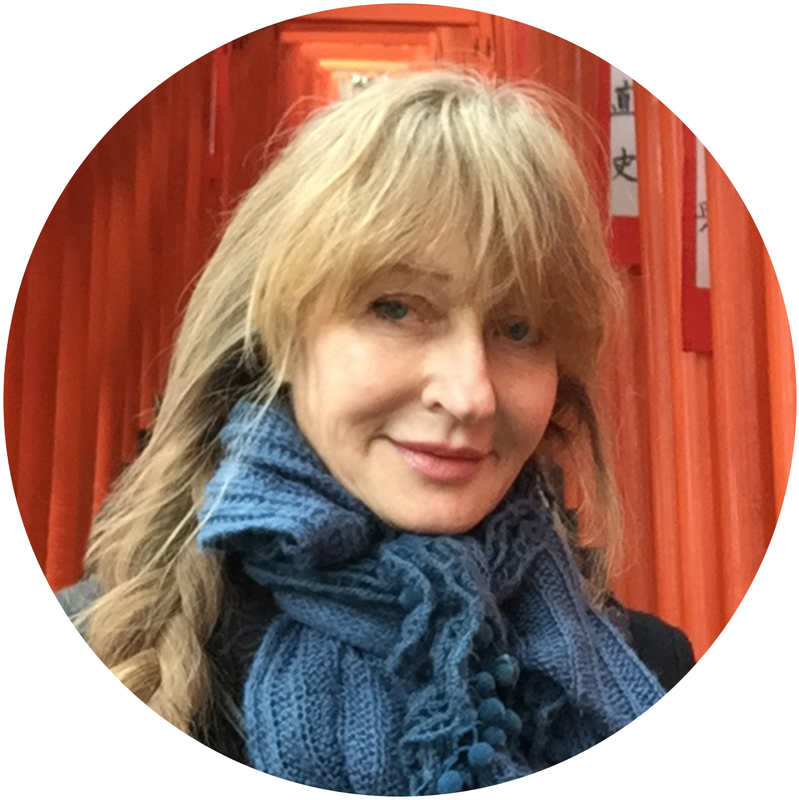 I loved seeing the places you went while you were here! I took this one about two weeks ago in Roppongi station. It’s the only station with the cool subway posters. The other ones all still feature teenagers assaulting grandmas with their eyelash crimpers and shopping bags!